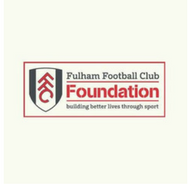 With more than 20 years of experience, they use the power of sport to provide meaningful education, employability, health, inclusion, environmental, and sport programmes. At the heart of their work is a commitment to empowering the most vulnerable members of the communities in which they work, including Lambeth, Merton, Kingston, Hammersmith & Fulham and Surrey. They have worked with more than 12,000 unique participants across the 2016/17 football season. On average, they engage 13,094 individuals each year with an average of 31 hours 17 minutes contact time per participant per year. Their partnerships play an important role in helping us achieve our aims and deliver programmes of the highest quality, with demonstrated returns for society.